Becoming an Affiliate is the easiest way to make your business more profitable! Make money by purchasing musical instruments from local customers! Simply fill out the application below to get started! 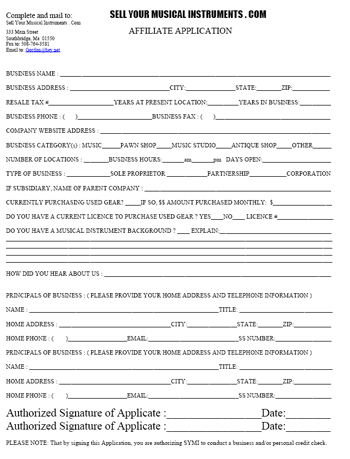 Please click on the image to print out and mail out Affiliate Application. 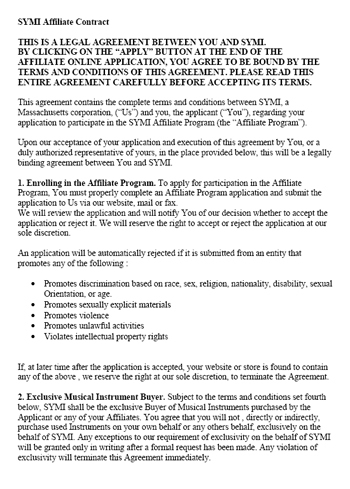 Please click here to view our Affiliate contract.